Jaipur-based Intap Labs Pvt. Ltd., which runs cloud-based online language learning platform CultureAlley, has raised $6.5 million in Series A funding from venture capital firm Tiger Global Management and other investors. Existing investors Kae Capital and 500 Startups also participated in this round, as per a press statement. Founded in Nov 2012, CultureAlley started off as teacher-learner platform which offers audio-visual lessons for individuals. Today, the company provides language learning lessons in English, Spanish and other languages. 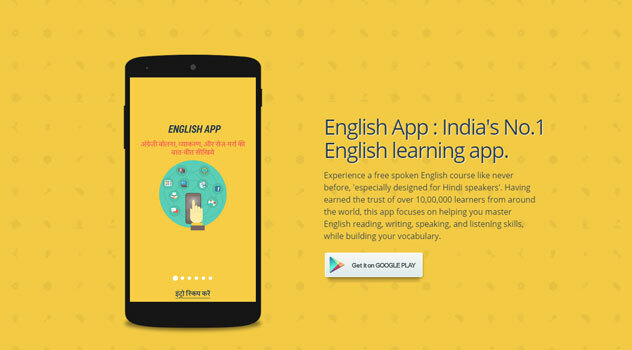 It launched a English language training voice app, christened 'Hello English', eight months ago. The app has different versions and is available in Hindi, Bengali, Telugu, Marathi, Tamil, Gujarati, Kannada, Urdu, Malayalam and Punjabi. CultureAlley claims to have assisted about three million users to learn English since its launch. Last February, it raised an undisclosed amount of money from 500 Startups and individual investors and others. The company also has the backing of Google South East Asia head Rajan Anandan and angel investor Sunil Kalra. As per data from VCCEdge, a research platform of VCCircle, Bhupendra Natwerlal Shah and Sasha Gulu Mirchandan have also put money in CultureAlley. Previously, CultureAlley had got seed funding from Mumbai-based early-stage VC fund Kae Capital in 2013. Tiger Global, which also runs a hedge fund business, is closely associated with venture investment in Indian technology enterprises. It has invested in almost two dozens Indian companies this year, as per VCCEdge data. Tiger Global recently put money in hyper local mobile marketplace Zopper, electric vehicle startup Ather and hostel & hotel booking platform Zostel among others.